Officers responded to a report of a mountain lion in the area of 20th Avenue and La Salle Drive in San Mateo on Sunday, the San Mateo Police Department said. Police set up a perimeter to attempt to locate the animal and asked area residents to shelter-in-place. Officials from the Department of Fish and Wildlife also were called to the scene. Officers remained in the area for about an hour before breaking down the perimeter without finding the big cat, police said. A resident captured a photograph of the animal, and officers confirmed it to be a mountain lion. Officers continued to patrol the area late Sunday. 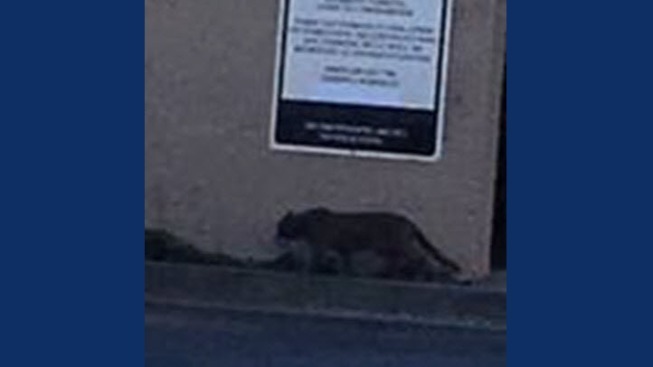 The San Mateo Police Department requested that residents remain vigilant and contact the police department immediately should the mountain lion be seen again. Do not feed deer. It is illegal in California, and it will attract mountain lions. If you see a mountain lion, do not approach it, especially one that is feeding or with offspring. Most mountain lions will try to avoid confrontation. Avoid hiking or jogging through wooded areas when mountain lions are most active — dawn, dusk or at night. More information about mountain lions can be found on the Department of Fish and Wildlife website.